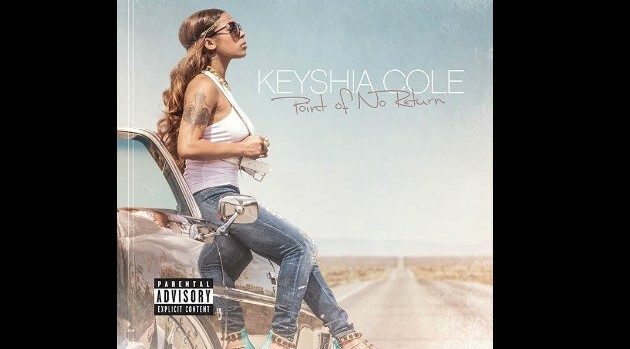 Image Courtesy Interscope RecordsAs her summer tour winds down, Keyshia Cole has finally announced the release date for her sixth studio album, Point of No Return. The singer’s set is scheduled to arrive on October 7. Led by the Juicy J-assisted track “Rick James,” the upcoming album boasts contributions from Wale, Future, 2 Chainz and August Alsina, as well as production from DJ Mustard, Mike WiLL Made-It, Stargate, Mario Winans and RedOne. In addition to putting the finishing touches on the album, Keyshia is working on her third reality show with BET. Fans can expect the still-untitled show to premiere this fall.